Covering kitchen walls is advisable as splashes and spills from cooking - particularly when combined with high levels of moisture - can mark or discolour walls quickly. This Wilsonart splashback is the perfect solution and provides a hygienic and convenient alternative to tiles. 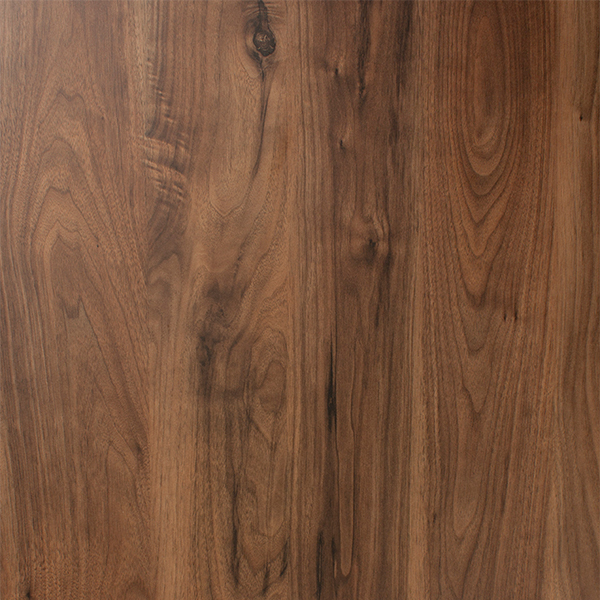 Ideal for the wall behind your hob, this splashback features an attractive dark walnut effect and measures 3m x 600mm x 6mm. Manufactured using the same high-quality materials as the dark walnut range of worktops, this laminate dark walnut splashback is incredibly low maintenance and can be cleaned easily using a soft cloth and some warm soapy water. Suitable for use as wall panels, it can be used between walls and work surfaces for a cohesive look throughout your kitchen. This Wilsonart splashback can be cut to size easily if required; alternatively, the fabrication team at our Gloucestershire workshop provide a bespoke cutting service for a more convenient option.